One can’t help but notice that there have been some new Space Marines about. I’ll come out and say that I think that the new stuff, miniatures and fluff are great. 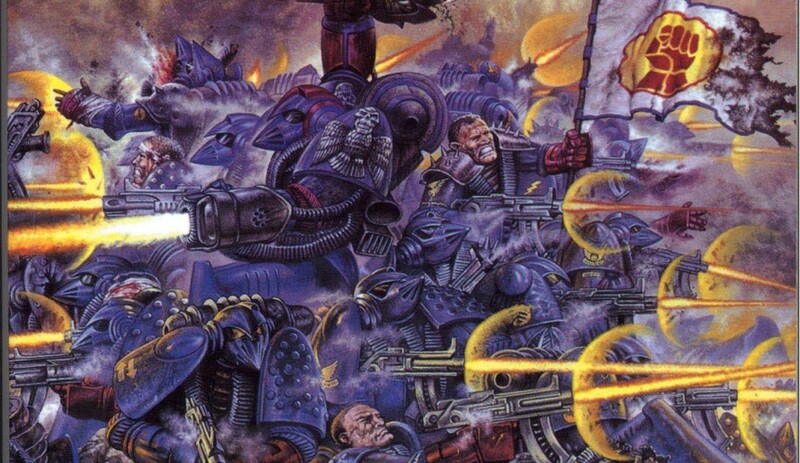 Part of the allure of the WH40K universe is that it is stuck at a permanent 3 seconds to midnight, technologically and socially moribund, hatefully fascistic in every way, whilst the sharks circle and none of them are any better. But Guilliman is a goody, or at least not as much of a baddie as most of the Imperium, and the Primaris marines and all that lot are new technology, new discoveries, etc etc. Guilliman can undo most of the bad stuff, except that he hasn’t got the time because the Eye Of Terror has turned into the Great Rift and he’s needed everywhere… The balance is maintained! Anyway, I bought the 40K box set, and started on the marines, as if I don’t have more minis that I can ever paint already. the flying bases on these are a f**king nightmare. one of them is attached by green stuff, because neither glue nor pinning would do the job.